I saw the original Star Wars movie when it was released in 1977. I was 21 years old; I’m younger than that now. 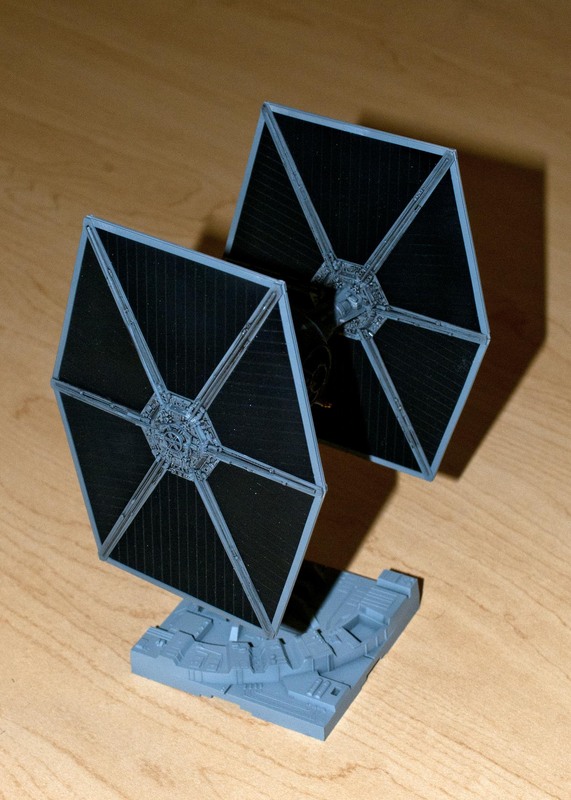 Since it began, Star Wars models and toys have littered the landscape. 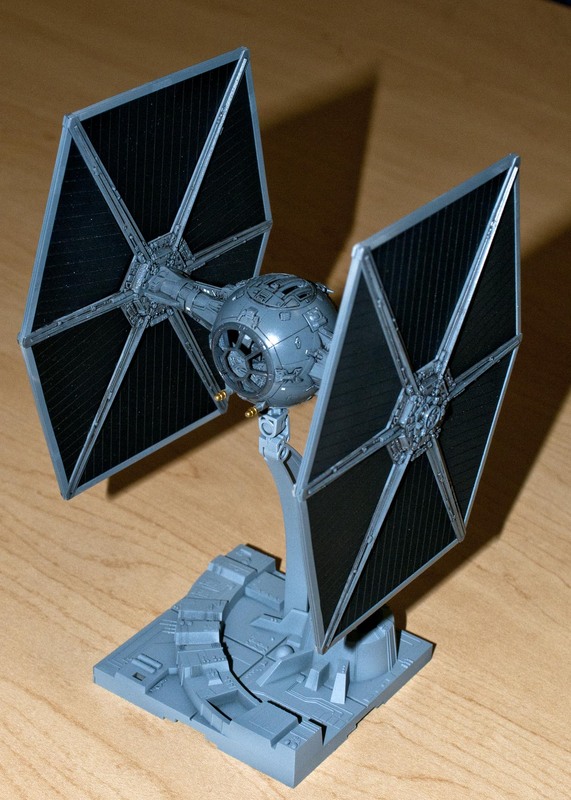 Models of Star Wars subjects have generally been treated as throw away toys with little regard for accuracy or scale. International licensing agreements have added to the Hodge podge of kit availability and quality. The original kits were produced by MPC. 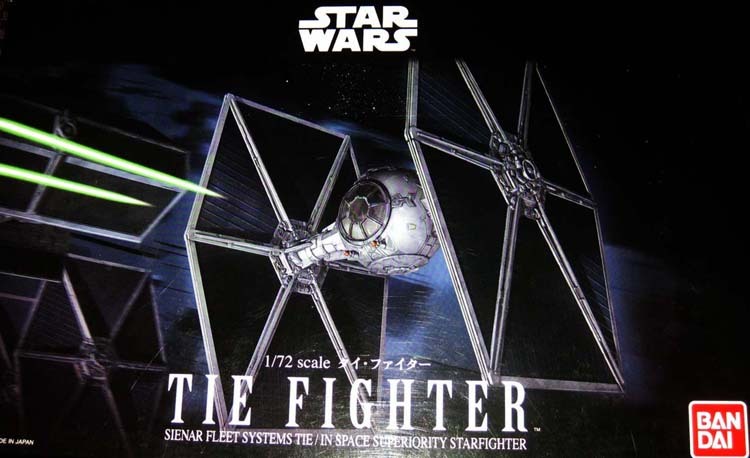 Currently in the US and Europe, Revell holds the rights to produce kits, in Asia and Japan these rights are held by Bandai. In the U.S., you cannot run down to the local hobby shop (if you still have one) and buy them. They are readily available through E-Bay and Amazon from Japan. Bandai is primarily known for Gundam kits, basically giant, weird looking robots. These kits are also produced using state of the art molding techniques. Their Star Wars kits do not require glue, but should not be thought of a “Snap Tight”, the tolerances are tight and the fit is amazing. The T.I.E. 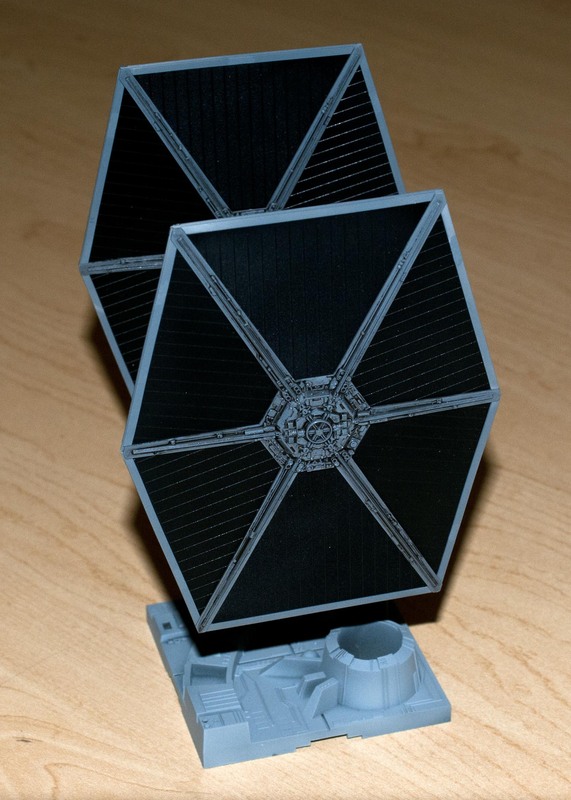 fighter kit is molded in black and gray plastic and does not require painting to achieve acceptable results. The kit also includes water slide decals and stickers, so it can appeal to kids as well as adults. One challenge in painting the kit is that the instructions are printed in Japanese with no painting recommendations in English. Searching the Internet yielded matches to Tamiya paints. Fun fact, the original studio models were painted with Pactra Sea Blue. On my model the cockpit and center pods were painted with Tamiya Neutral Gray, the solar panels were painted with Tamiya Rubber Black; Mig washes were used to highlight the panel lines. I used glue on some parts, but mostly out of habit, it truly doesn’t need it. The kit provides a clear part for the cockpit but also provides the same part in gray with no clear sections. The studio models had no clear windows as they caused reflections. I actually like the look without the windows. The model goes together very quickly and was the most fun I’ve had building a model in quite some time. If you like Star Wars, you owe it to yourself to try one.